A major new survey of Indonesia's eastern seafloor has been approved by the Royal Society in a move that it's hoped will boost the country's resilience to deadly tsunamis. Twice in late 2018 Indonesia suffered horrendous casualties when large waves engulfed sections of its coastline. Both however were relatively small incidences when compared to the 2004 Boxing Day tsunami, which killed 130,000 people in the country. Now scientists from Brunel University London, the Indonesian Institute of Sciences (LIPI) and Agency for the Assessment & Application of Technology (BPPT) are to spend the next three years gathering data on the east-Asian nation's tectonic faults, and developing simulations and strategies for the tsunami-ravaged country to better protect itself. "Indonesia is a country with a lot of tsunamis, as it sits in a large earthquake-genic, tsunami-genic zone – this is a country that experiences a magnitude six earthquake every week," said Dr. Mohammad Heidarzadeh, Assistant Professor of Civil Engineering at Brunel and leader of the project. "It's an area which suffers a lot of death and damage from earthquakes and tsunamis. "The tsunami and earthquake hazard in east Indonesia isn't well studied though – we simply don't have enough data. The reason being is that after 2004 Indian ocean tsunami most of funding was focussed on the west of Indonesia. The east was largely forgotten. 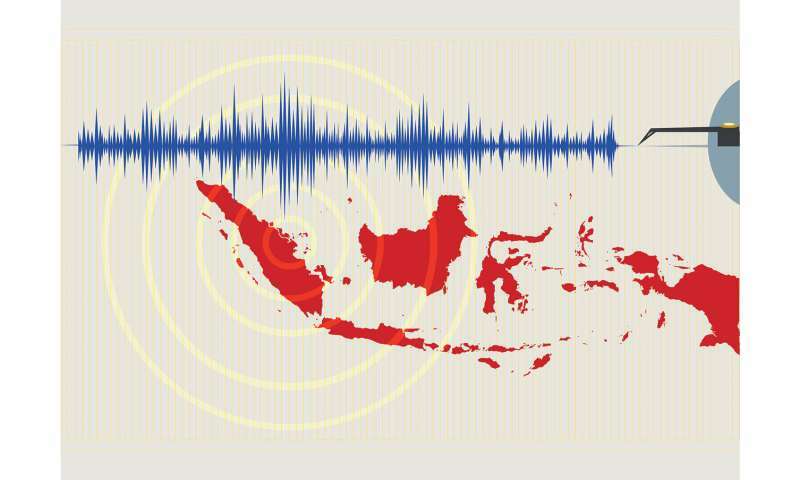 "However, we believe that the east of Indonesia is as vulnerable as the west, and that a large earthquake and tsunami could happen with the same dimension of disaster as we had in 2004." The £500,000 project, part of the Royal Society's Resilient Futures challenge, will feature three parts, said Dr. Heidarzadeh: "The first is the marine geophysical survey, the mapping of the seafloor, which is the real breakthrough this project will bring to Indonesia. The second is mapping in-land faults, through field studies. And the third part is providing novel, very up-to-date computer simulations, which is going to be done here at Brunel." The state-of-the-art survey ship will spend a month at sea mapping tectonic faults that have the potential to generate a tsunami, should they rupture with an earthquake. This is done by pinging a seismic signal from the ship through the seafloor and then collecting the reflected signal using a series of devices geophones. By analysing the reflections, scientists can determine where the faults are and what risk they represent. Dr. Heidarzadeh, who was originally inspired to study tsunamis after witnessing the havoc they wrecked in Japan, said that by taking the new data and creating new computer simulations of potential tsunami scenarios, it's possible to start producing plans for protecting Indonesia against them. These plans will include identifying the areas at highest risk, developing counter-measures, and improving public awareness amongst the local population of the actions required when a tsunami is imminent. Tsunamis can be caused by a number of factors and have a high degree of unpredictability. Earthquakes, landslides and volcanos can all cause tsunamis, and whilst Indonesia does have a tsunami early-warning system, it's previously been ineffective, as was the case with the September 2018 Sulawesi tsunami, where the system didn't trigger.